A seemingly mysterious problem started occurring a couple of months after implementing a workflow solution. The workflow statuses (Completed, Approved, Rejected, etc) started disappearing. After doing a little research, it seems that, by default, the workflow status information is purged after 60 days. 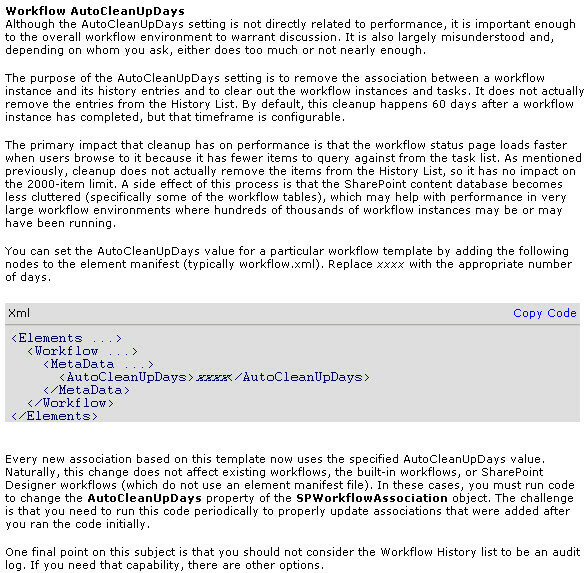 This blog indicates you can stop this behavior by disabling the "Workflow Auto Cleanup" setting in the "Operations --> Global Configuration --> Timer job defintions. This is confirmed with a Microsoft Technet document as well. Dave Wollerman makes some great points in his SharePoint blog about this topic. The Timer job definition seems to control the process with a stored procedure called "proc_AutoCleanupWorkflows". 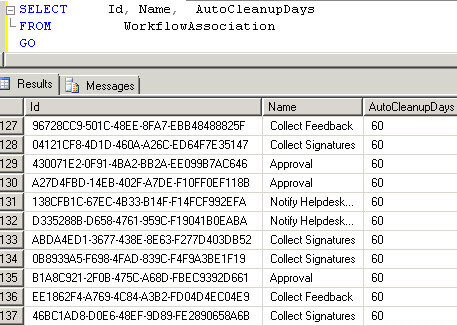 Interestingly there is a table called "WorkflowAssociation" which has a field called "AutoCleanupDays", which is set at 60. I do not recommend adjusting these database entries manually. They are shown here simply as a matter of interest. The document never explains what the "other options" are. This is a damned if you do, damned if you don't situation. If you absolutely need the audit trail (why use workflow if you don't? ), then changing the Timer Job Definition makes sense. Keep an eye out for system performance and consider creating a new Workflow History list for every workflow.